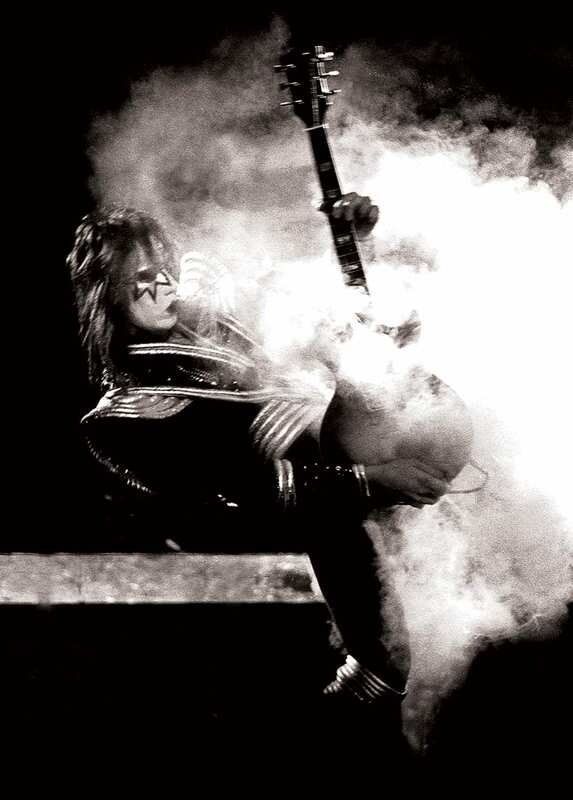 KISS was on their Rock & Roll Over tour, performing for the first time at Madison Square Garden. I snuck my camera into the concert and managed to get within the first ten rows. It was a great show and I got some amazing shots. I stayed up all night developing and printing. The next day I brought my photos to school to show some friends. Next thing you know, I was selling photos out of my locker. My hustling days had begun. Everything changed for me toward the end of 1977. Kiss were back in town to play three sold-out dates at Madison Square Garden. I printed up a few hundred photos from the show in February and headed to the show. Photos were selling great until after the show I was snatched up by the cops for selling my photos and spent the night in jail. I spent the next few days putting together a portfolio and then took it over to CIRCUS magazine. Impressed with my photos they told me to stay in touch and let them know what concerts I would be shooting. Six months later they published my first photo, a centerfold in the magazine.